General is pleased to feature the Rev. Dr. Dwight Zscheile at this year's Paddock Lectures. Zscheile is associate professor of congregational mission and leadership at Luther Seminary in St. Paul, MN and a consultant with The Missional Network. He also serves part-time as associate priest at St. Matthew's Episcopal Church in St. Paul. Growing up in a secular home in California has shaped his commitment to helping the church cultivate Christian community with new populations and generations.His books are focused on helping the church participate more faithfully and fully in God's mission in a changing world. The Paddock Lectures were founded in 1880 by General Seminary benefactor George A. Jarvis and named in memory of The Rt. Rev. Benjamin Henry Paddock, Bishop of Massachusetts and of the Class of 1852. 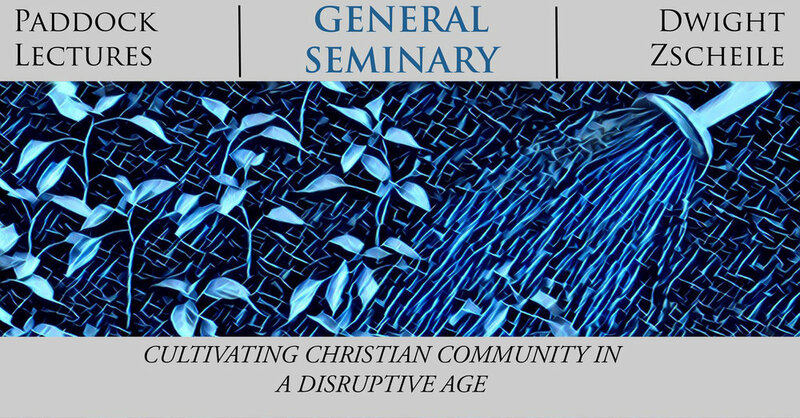 The Lectures have brought to General's campus a remarkable group of Anglican scholars, including William Temple, Charles Henry Brent, Francis Joseph Hall, Owen Chadwick, John Mbiti, Norman Pittinger, and Sarah Coakley.